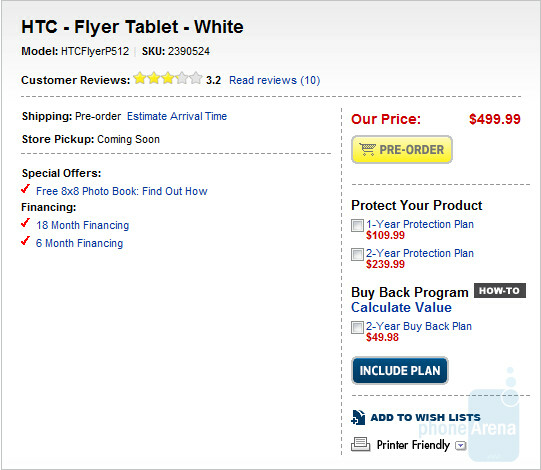 As we previously reported earlier today, Best Buy has announced that it would sell the HTC Flyer starting Sunday for $499. 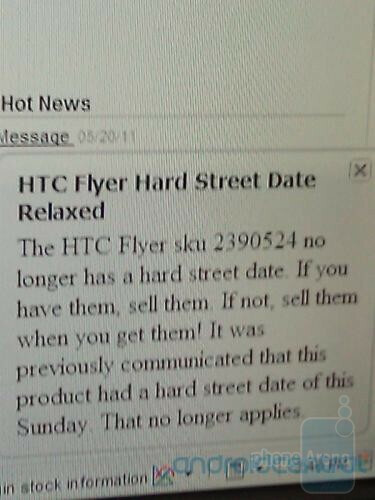 But a leaked screenshot of an internal Best Buy communication reveals that the "hard street date" has been relaxed. The memo directs Best Buy reps that, "If you have them, sell them. If not, sell them when you get them." The Wi-Fi version of the tablet will cost you $499.99 plus an additional $80 for the optional stylus you can buy in order to use HTC Scribe, a technology that allows you to write on the 7 inch screen, taking notes or highlighting text. 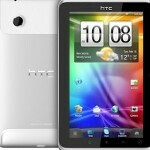 It is one major application that differentiates the HTC Flyer from other tablets on the market. If you thought that you would have to wait until Sunday to buy the HTC Flyer from Best Buy, you know now that you need not wait to hold the tablet in your hands. Just head over to your local Best Buy store and if the device is in inventory, you can walk out of the store with one right now. Played with this today at Best Buy. Shits pretty sick but wished it had a kick stand. Yea, its a pretty nice tablet...picked one up today...lovin it so far!